Expatriate in KL: Au revoir Kuala Lumpur! On my way to my Christmas holiday! Bye bye KL... and hello Europe! About to start my holiday journey ... a very long flight to France. Took the flight from KL to Singapore. Stop. Dinner in Singapore airport. 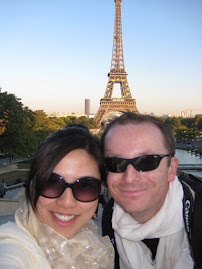 Then a flight from Singapore to Paris. It was a pleasant surprise to see that SQ had new planes flying to Paris. The in-flight entertainment was better than before. The dinner was superb (very tasty steak) and you can see that the quality of the blankets were wow! And by the way ... I was just in economy flight. I would highly recommend Singapore Airlines to anyone who has extra money to spare (since it's pricier than other airlines) ... it's really worth it! CDG Paris Airport.... cold, very cold. It was -3 degrees outside. My poor body was not built for winter season, so let's see how I will survive my first ever winter Christmas! 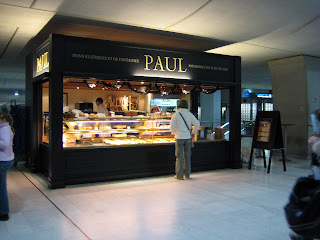 Hubby met me at the airport... We had a quick baguette lunch at Paul .. yummy! Incidentally, Paul will be opening shop soon in Kuala Lumpur. We are definitely waiting for that.. and probably the other French expats too! We took a flight from Paris to Marseille. And then my in-laws picked us up from the airport. We're off to our Christmas holiday in South of France!